A nine percent drop was expected by the end of 2014, according to the National Bank of Ukraine's previous forecast. 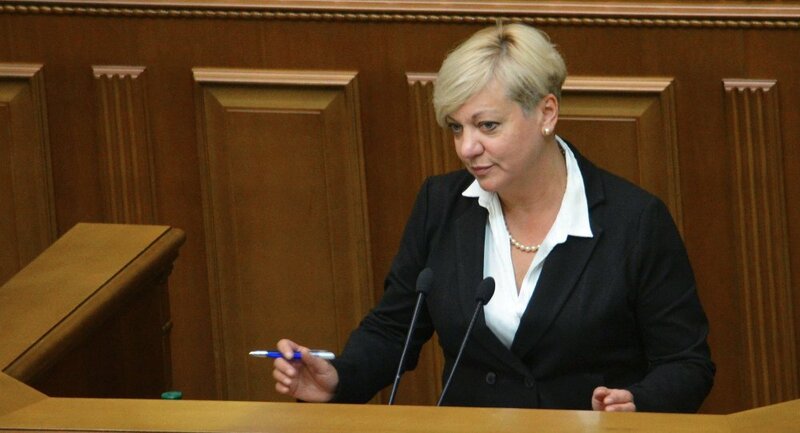 KIEV, November 3 (RIA Novosti) — Ukraine's GDP will drop by 7 percent, over the first nine months of 2014 the GDP has already dropped by 3.5 percent, the head of the National Bank of Ukraine Valeriya Gontareva said Monday. "Our forecasts have improved significantly, there are no official statistics, but today we can say that since the beginning of the year , over the first nine months GDP fell by 3.5 percent, the statistics may even improve… as of today, we have improved our forecast to a 7 percent drop," Gontareva said at a news conference. Gontareva has also noted that, according to the National Bank's previous forecast, a nine percent drop was expected by the end of 2014. Torn by internal conflict in its southeastern regions, Ukraine is experiencing a severe economic crisis. The Ukrainian government and international institutions had previously forecasted a 5-7 percent decrease in Ukraine's GDP in 2014. The country's National Bank has estimated that inflation in 2014 will reach 17 percent. In April, the International Monetary Fund approved a two-year $17 billion loan to Ukraine, $4.6 billion of which has already been disbursed.